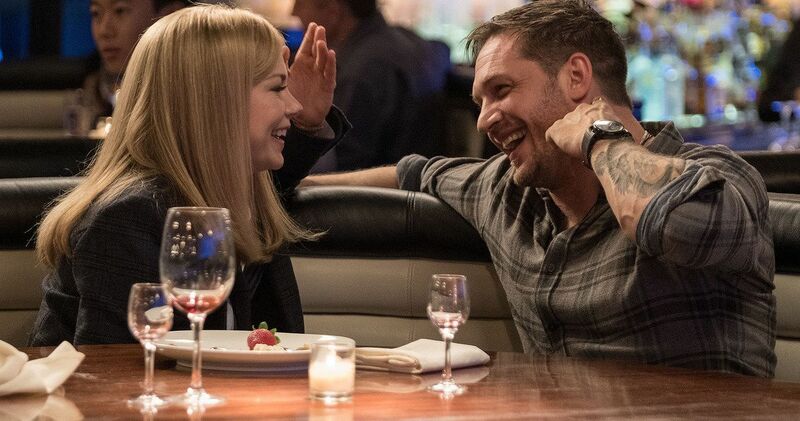 Michelle Williams has revealed that even though she starred opposite Tom Hardy in last year’s comic book hit, Venom, she still doesn’t understand much at all about the film. That’s a bit of a surprise considering she played the love interest of Eddie Brock (Hardy), but it’s maybe not all that shocking considering this is her first appearance in a superhero movie. She’s been nominated for four Academy Awards throughout her career, so this minor slip-up is definitely not that substantial in the big scheme of things. Sitting down with her fellow After the Wedding costars Julianne Moore and Billy Crudup at the Sundance Film Festival, Michelle Williams confessed to Variety that “I don’t even know much about Venom ,” which probably means she has learned even less about the upcoming sequel. It’s possible Williams could be just be playing dumb so as not to reveal anything too juicy yet, or she could be among the many who came out of Venom feeling very confused. Venom follows eccentric photographer Eddie Brock, who is suddenly taken over by an alien symbiote that has landed on Earth because of suspicious work done by the acclaimed Life Foundation. The foundation is helmed by Riz Ahmed’s Carlton Drake, who shares no compassion for how his human guinea pigs fair when bonded with the suspicious alien lifeforms. Even though the Venom character is based in the Spider-Man universe, the film took the risk of excluding the famous web-slinger to strictly focus on developing the titular antihero. Director Ruben Fleischer wowed audiences with the film’s amazing special effects and thrilling action, not to mention Tom Hardy’s darkly humorous performance. Despite Venom‘s poor critical acclaim, the Sony Pictures film was a major box office hit and a sequel was quickly green lit with Hardy returning to star as the titular character, Williams as his love interest Anne Weying and the wonderful Woody Harrelson as the notorious Carnage. The sequel is being written by Kelly Marcel, who came aboard to do rewrites on the first film. She will also serve as an executive producer, even though there is not yet a director officially attached. Regardless of Williams’ apparent confusion concerning the recent superhero film, she is still undoubtedly one of the most talented actresses working today. Before appearing in Venom 2, Williams will follow up the upcoming release of After the Wedding with the highly-anticipated FX limited series Fosse/Verdon. The series tells the story of the complex relationship between famous director and choreographer Bob Fosse and Gwen Verdon, one of the most acclaimed Broadway dancers in history. With those two releases still ahead of us, it’s hard to say exactly when Williams will be able to reprise her role for Venom 2. So for now, it’s just a waiting game. This news comes from Variety.